to make homes for fall calves. retreats in streaks of heat. Robbin’s iPhone photo after following the girls into the corral. It’s been a warm week with temperatures over 110 degrees as we’ve weaned, processed and shipped our last load of bull calves to town. Polite and cooperative, these second-calf heifers hauled easily to Greasy while it was still cool. A smooth day—done before ten. 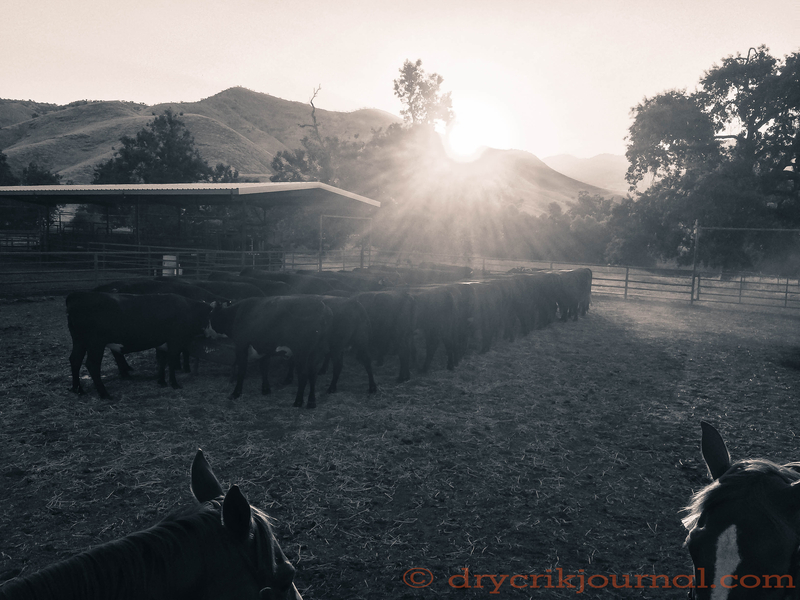 This entry was posted in Photographs, Poems 2017, Ranch Journal and tagged cattle, photography, poetry, weather. Bookmark the permalink.